The following questions would test how much of the basics that you have remember regarding digital audio and basic recording. This is the first thing in the series and I would be writing the same for tracking, mixing and mastering in the future. 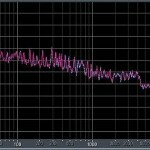 Forgetting and ignoring basics are often the cause of music production issues affecting quality. Below are some very basic questions, go through with them one by one. Do not immediately look at the answer but try answering the questions first by yourself. If you are able to answer all these questions correctly, you should be confident about your skills and basic concepts in digital audio. 1.) When you are recording to your computer, is this a digital or analog recording method? The answer is digital. Analog source (from the outside of the computer) is converted to digital audio using an audio interface. Therefore the tracks that will be recorded to your hard drive is in digital format. 2.) CD audio is an analog storage medium? The answer is no. 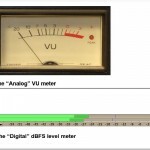 Digital audio stored in CD are digitally sampled in 16-bits/44.1KHz; therefore it is a digital storage medium. If you go in depth about how the compact disc is made of. 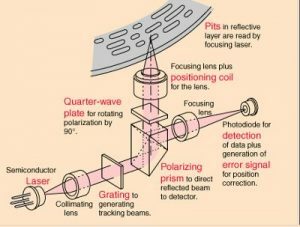 It consists of pits or holes that when hit by light (from optical drive laser), this would translate to either 1 or 0 binary data. 3.) You cannot tell the difference between 24-bit/48KHz audio and 16-bit-96KHz audio? False, difference in bit depth is highly noticeable. If you blind test two audios recorded at 16-bit and 24-bit (regardless of sample rate but at least at 44.1 KHz), you will notice that the audio sounds pure when recorded in 24-bits. 4.) 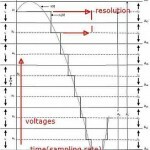 In recording, sample rate is more important than the bit depth? False, bit depth is more important. It is why you are highly required to record everything at 24-bits and not 16-bits. This is due to the fact that recording at higher bit depth gives you more headroom, better signal to noise ratio and more accurate representation of analog sound. 5.) The file extension of high analog audio is .WAV? Incorrect. Analog audio does not exist inside your computer. It only exists outside your computer and in your analog storage medium like cassette tape, reel to reel and vinyl. Therefore there is no such thing as a file extension for an analog audio signal. It is not a digital file. File extension only exist inside your computer and in digital storage medium. .WAV is a digital audio file that is uncompressed. Othe common audio file extensions include .MP3, .WMA which is in compressed form. 6.) 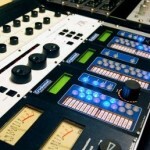 When recording for multi-track, you will always record in mono? 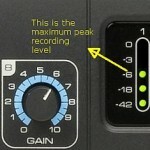 Not entirely true although you will record mono most of the time. There is also what you called as “stereo recording”. For example, in this method, you can record using two microphones simultaneously to capture a sound source. One microphone is equivalent to one mono track in your DAW. Stereo recording consists of two mono channels. It will need two microphones. 7.) To prevent distortion, you should not record more than 0dBFS? False, a better answer is to even record less than 0dBFS to get the benefits of zero distortion and adequate headroom for mixing. This is particularly important in gain staging. It is why in most tracking; the maximum peak is around -6dBFS instead of 0dBFS.